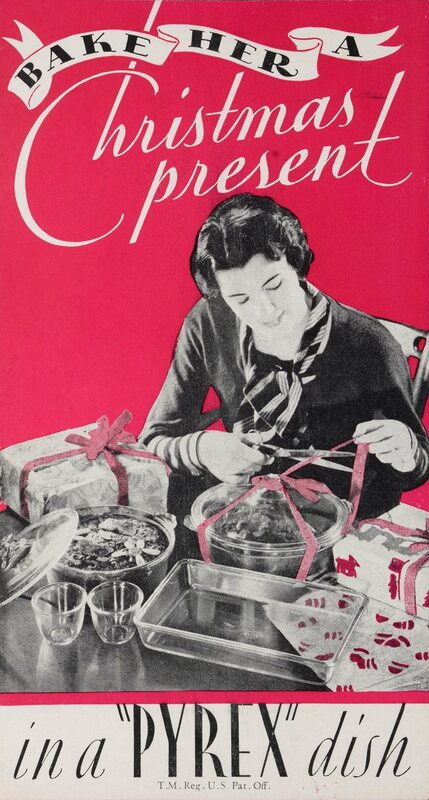 “Bake her a Christmas present in a ‘Pyrex’ dish.” Booklet published by Corning Glass Works, Corning, NY, USA, 1933. CMGL 90983. Similar to yesterday’s catalog, this is the Western edition. What differences can you spot? It’s clear! It’s sparkling! It’s Pyrex flameware! Read more about It’s clear! It’s sparkling! It’s Pyrex flameware!